One thing my son has learned AND LOVED since he was young is working out with me, being very active and running outside. Some of my earliest memories with him is stretching with him as a 1 year old, when he showcases all his "workout moves" and his love for running! 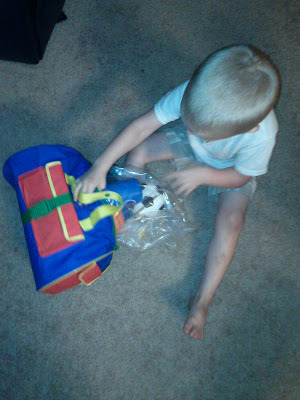 So when I saw the Pretend & Play® Gym Bag from Learning Resources, I knew it was the most perfect toy for him! 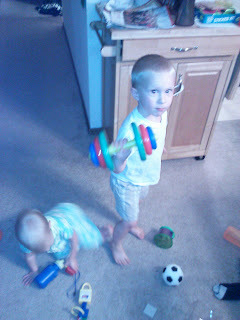 Now he can workout with me with his very own weight instead of the pretend weight he has always used (a ball, rattle, etc). And I was right! The minute he saw that he now has his own weight, stopwatch, lock and keys and balls, the smile on his face was priceless! He immediately was trying out the weight and my daughter was trying out the water bottle! Then, of course, he needed to try out the water bottle too! And it is now in my daughter's or son's hand almost all day long! 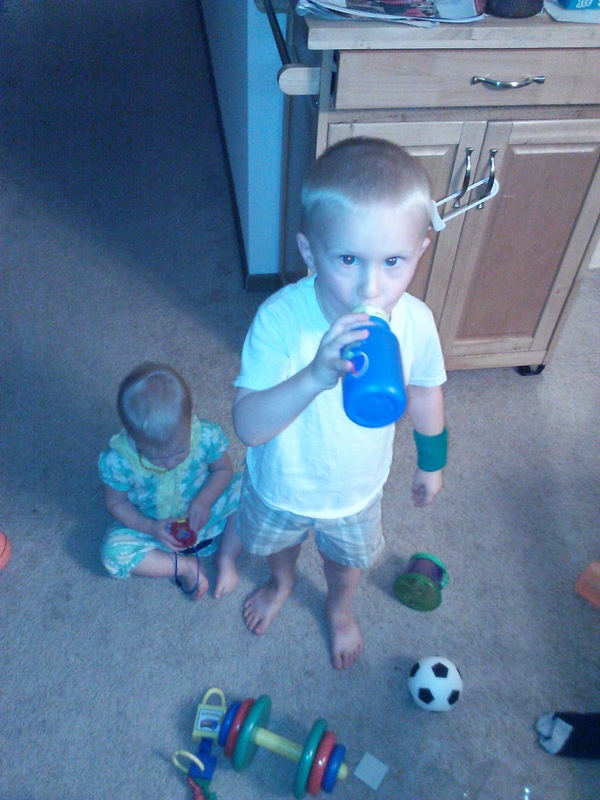 My son also really loves the "stopwatch" and is always "timing" everything all day long! My favorite part is that the bag is not only functional for carrying his workout gear but it is also educational and helps him learn and practice tying, buttoning, zip, lace and so much more! I love a dual use product! 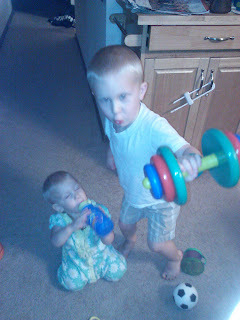 Overall, the Pretend & Play® Gym Bag from Learning Resources was a big HIT in our house and I definitely recommend it to other active households! Buy It: You can purchase the Pretend & Play® Gym Bag for $34.99 from Learning Resources.